Major video on demand services now available are the TVoD or transaction video on demand, SVoD or subscription video on demand and AVoD or advertised video on demand. VOD offers the convenience of accessing the content on any device, at any time from any place. 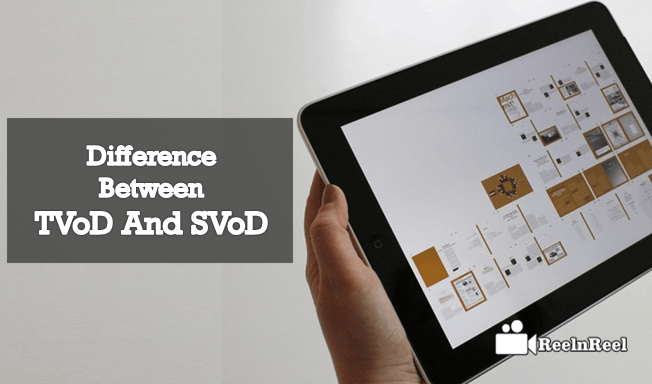 Let us now discuss the two major business models TVoD and SVoD. TVoD is a transactional video on demand. In this method, the customer pays for every individual on-demand content. Thus this is also called the Pay Per View or PPV. It is similar to getting or renting offline movies from a rental store. Consumer pay for accessing the content and they can keep them on the platform or their devices. They can watch the movie any number of times until the rental period expires. The transactional VOD includes Electronic sell-through and Download to Own, Download to rent. Transactional video on demand service will not collect any charges from the user for signing up or creating a profile. Attractive pricing on specific pieces of content are offered by the service providers to retain customers, and thus users can view their favorite content for lower prices. TVoD services are also offering the most recent releases. iTunes is one of the popular TVoD marketplaces. Users can rent movies from the site on their Apple, Mac devices or on personal computers. Google Play is another store for TVoD digital content. The content from this site can be accessed on Android and iOS devices. Amazon Video has movies ant television shows that can be purchased or rented. TVoD is a part of VOD. With the growth of PPV, the VOD market share was around US $9,529 million in the year 2016. SVoD is subscription Video on Demand. In this model, the users pay a monthly flat rate and access unlimited programs for a month. The users will have control on when to start the program, pause the programs, fast forward it, pause it or stop it. With SVoD, the user can decide when to watch a program and what to see. This model gives control over the content access to the user. The users can watch the pay-TV programs, TV series and movies. They can access the content of very high quality at any time from the television set. Another advantage of SVoD is that the content is updated from time to time. One of the popular platforms for SVoD service is Netflix. It has millions of subscribers and the content is accessed on mobiles, computers or television devices. The other equally popular are Hulu which is best for network television, Amazon Instant Video that is best for families, Playstation Vue which is best for cable TV replacement. Monthly subscriptions vary for each service. SVoD is in a strong position in the world today. The US is the largest market for SVoD but the other world markets are also growing fast. There is fast growth of SVoD serviceability in countries such as Singapore. Amazon Prime Video is widely available SVoD service in the world. SvoD usage is at its maximum in countries such as US, UK, Canada and Australia.